Galway enjoyed a perfect start to the defence of the National Camogie League with a comprehensive 3-7 to 0-5 win over Tipperary at The Ragg. Rahoon/Newcastle Hurling Club will hold its registration day on Saturday at the clubhouse in Tonabrucky from 1pm to 3pm. All underage players who register on the day will receive a new Rahoon/Newcastle sliotar to help them get started for the year ahead. Adult registration will also take place on the day. New members are welcome. The Galway footballers return to league action this Sunday in Celtic Park (2pm) when they face Derry in round three of the National Football League. Derry have made an excellent start in this year’s league under new manager Damien Barton, and they will be hoping to continue their run with a home win, which would see them with maximum points from three games. 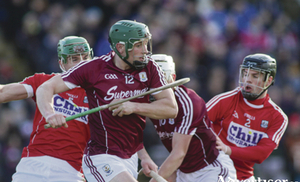 The Galway hurlers will head up the motorway on Saturday afternoon to Parnell Park with a bounce in their step. They take on Dublin (7pm) in round two of the NHL after an impressive enough start to the league. The Galway hurlers, under the new guidance of Micheál Donoghue, start their National Hurling League 1A campaign on Sunday at Pearse Stadium (2pm) against Cork. 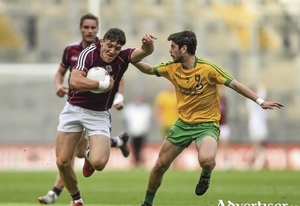 There were mixed emotions for Galway football supporters and team management leaving Pearse Stadium on Sunday after watching their side go down narrowly by 1-9 to 1-7 against Mickey Harte's Tyrone side. Both Galway hurling clubs in All-Ireland club action last weekend suffered major disappointments with senior champions Sarsfields and county intermediate champions Abbeyknockmoy suffering defeats. Sarsfields were well beaten by Cushendall (Antrim) by 3-12 to 1-6 in the All-Ireland club semi-final. It was a disappointing performance from the Galway champions as they only managed a single point from play over the entire hour from Alan Ward and they can have no complaints about their exit. The draws for the Galway intermediate and senior football championships took place in RTÉ Raidió na Gaeltachta headquarters in Casla on Tuesday. NUI Galway camogie club hosts the Ashbourne Cup this weekend in the Connacht GAA centre in County Mayo, and Gort. Galway kept up their great start to the season on the football field by following up their FBD League success with a win over Laois on the road last Sunday. 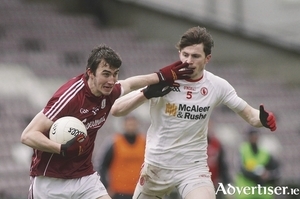 In this weeks www.advertiser.ie Galway GAA podcast, Alan Flynn and Colm Gannon look back over that win and preview Galway’s biggest test to date this year when Tyrone come to Salthill this Sunday in round two. Galway forward Adrian Varley from Cortoon is in a positive frame of mind ahead of Sunday's meeting with Tyrone at Pearse Stadium (2pm) in round 2 of the NFL. This Sunday Kevin Walsh and Mickey Harte's teams line out in what promises to be a captivating game between Galway and Tyrone in Pearse Stadium (2pm) in round two of the NFL. The 2011 champions Killimor will play Milford in the AIB All-Ireland Senior Camogie Club final this season. Galway county champions Sarsfields head to Páirc Tailteann in Meath on Saturday to take on Antrim’s Cushendal in the All-Ireland club senior hurling semi-final (2pm). Medtronic senior footballers are back in the All Ireland Interfirms final after defeating Kingspan from Ulster in the semi final. Medtronic produced a workmanlike display to qualify for their second All Ireland title, overcoming Kingspan by 1-14 to 1-7. 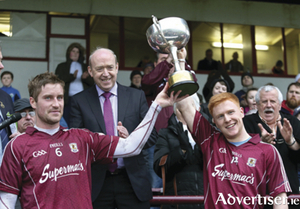 The Galway hurlers went out of the Bord na Móna Walsh Cup, losing to Dublin by 1-28 to 1-19 in Parnell Park on Sunday. 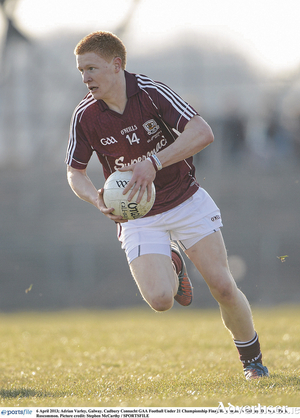 NUIG footballers started their Sigerson campaign with a facile win over Trinity on Tuesday, winning by 3-14 to 1-4.